Wanli Wu focuses on drafting patent applications and obtaining patents in the fields of polymers, oil and gas field fluids, hydrocarbon recovery and treatment, cosmetics, and specialty chemicals, . She also conducted patentability, product clearance, and patent validity studies. 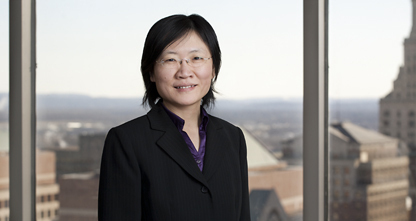 Before becoming a patent practitioner, Ms. Wu was a research chemist for eight years. She synthesized novel Hepatitis C drug candidates and was an inventor for several patents/applications.